Remember This From August, 2005? On August 5, 2005, I was able to photograph a flamingo, a truly unusual sight in the Upper Peninsula. We recently received an interesting e-mail from the Marketing/PR Manager of the Sedgwick County Zoo in Wichita, Kansas. 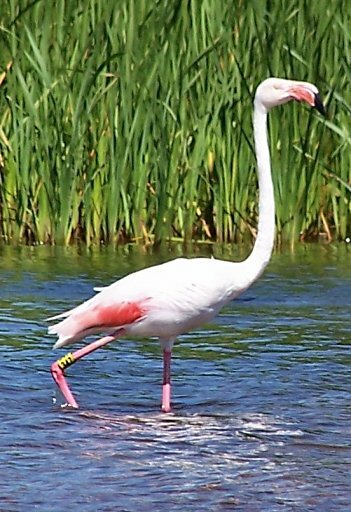 He said the flamingo, “took flight on a very blustery Kansas day just before it was due to have its flight feathers clipped.” He went on to say, “We believe it got a little direction turned when a severe thunderstorm rolled through Wichita on the weekend of July 4, 2005.” Mystery solved! We would like to thank Dr. Scott Hickman who was instrumental in tracking down the origin of the Au Train Flamingo!